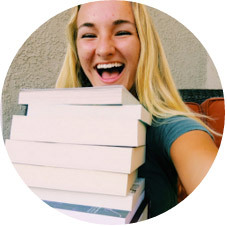 Vibin With Books: The Weight of Guilt by Jon Ripslinger review + giveaway! 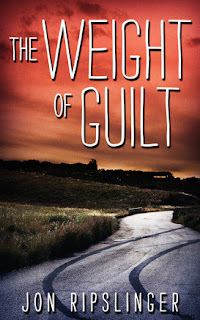 The Weight of Guilt by Jon Ripslinger review + giveaway! I don't read a lot of mystery/crime fiction, so I picked this up eager for something new. I really enjoyed reading from John and Charley pov, though at times, it was a little confusing on who was who. All of the chapters had the names at the top, so we know who we're reading from, but the second chapter, told from Charley, didn't. If we hadn't been talking to Megan, who was saying how hot John Hawk was, than I probably wouldn't have realized we had switched pov's. There was no real difference between John and Charley's pov. They were too similar. Even with that, I enjoyed the writing. It was a little stiff at times, and Charley's though process wasn't very... I can't even think of a word for it. All I can think of is that it's obvious a male author wrote her chapters. Overall though, it was straightforward and fresh. The plotline kept me hooked until the end. I had no idea who killed Megan, and was shocked at the turn of events. I was even more shocked once we realize how big the situation is. Proving John's innocence, and finding Megan's killer, turned out to be only the tip of the iceberg. It was a delicious thrill. One thing bothered me concerning Charley: she was so judgmental of John in the beginning. Ya'll must know that's a pet peeve of mine. But this was probably the most horrendous judgment in the world, even worse than Eden's in Did I Mention I Love You? because at least she had an excuse. But Charley sure as hell didn't. "I study John Hawk again, reappraising him. Maybe he isn't so bad. He appears honest, genuine. Maybe he is concerned. But he's a wrestler. A sweaty, stinky wrestler who slams people around and bends their arms and legs backward. Who could even like a wrestler? "Thought he grabbed my wrist, he doesn't seem like a guy who would deliberately hurt anyone. But you can never tell about guys. Like I said, he's a wrestler." I couldn't tell if I should've laughed or cried because seriously, no one thinks like that. I mean, I would hope not. Just because he wrestles doesn't mean he's violent or a bad person, so I'm not sure where Charley got that stigma from. If you're in the mood for a light crime fiction told from dual pov's than I suggest checking this out! Here's a link to the rafflecopter, since I couldn't get the widget to show up. I swear technology hates me. Thanks for reading and reviewing my young adult novel The Weight of Guilt. Reading and reviewing take a lot of time, and I appreciate your post. Best wishes!